For our edited volume, we seek chapters that address the growing demands of school media specialists, public youth librarians, classroom teachers, and other educators for information on selecting materials and creating literacy and library programs to meet the needs of children and young adults in our culturally pluralistic society. We define diversity not only in terms of race and culture, but also in age, ability, religious preferences, family composition, and so on. By providing new critical and intercultural approaches to diversity in contemporary literature for children and young adults, this book will provide theoretical frameworks that consider the over-arching issues which continue to expand and break boundaries in youth literature. These approaches can assist librarians and other educators in choosing, evaluating, and selecting quality children’s and YA literature and using it to meet the literacy (informational, reading, cultural, etc.) needs of the increasingly di! verse youth population in U.S libraries, classrooms, and homes. As well, the critical and intercultural approaches can help educators situate the books in their socio-political contexts in order to consider how the books may meet the social needs of youth. Finally, the title will provide ideas and examples of successful library and literacy programs that incorporate diverse children’s literature to meet the informational and recreational needs of all children and young adults. • Literature review of studies from various disciplines related to the topics of cultural diversity, cultural pluralism, cultural literacy, diversity, etc. as presented in children’s and young adult literature. • Understanding the politics and key concerns in selecting, analyzing, and using diverse literature for children and young adults. • Creating a working conceptualization of diversity that can be used with children and young adults to foster intercultural understanding and prepare young minds for interacting in the culturally pluralistic society of the U.S.
• Critical Perspectives in Contemporary Children’s and Young Adult Literature Representing African American People and Cultures. • Critical Perspectives in Contemporary Children’s and Young Adult Literature Representing Religious Affiliations. Celebrate Latino Children’s Literature & Literacy at the National Latino Children’s Literature Conference on April 23-24, 2010. For more information, visit http://www.latinochildlitconf.org/. IS&T is pleased to announce the Archiving 2011 Call for Papers. The deadline for submitting presentation abstracts for Archiving 2011 to be held May 16-19, 2011 in Salt Lake City, Utah, is October 17, 2010. A PDF of the Call for Papers can be found at www.imaging.org/ist/conferences/archiving <http://www.imaging.org/ist/conferences/archiving> . The IS&T Archiving Conference brings together a unique community of imaging novices and experts from libraries, archives, records management, and information technology institutions to discuss and explore the expanding field of digital archiving and preservation. Attendees from around the world represent industry, academia, governments, and cultural heritage institutions. The conference presents the latest research results on archiving, provides a forum to explore new strategies and policies, and reports on successful projects that can serve as benchmarks in the field. Archiving 2011 is a blend of invited focal papers, keynote talks, and refereed oral and interactive display presentations. Prospective authors are invited to submit oral and interactive presentations by the October 17th deadline. Please feel free to contact me with any questions. We hope to see you there. Topic and Audience: Top-level library managers, responding to contemporary trends, are increasingly delegating responsibilities to those in the middle, demanding innovation and entrepreneurial creativity, as well as accountability and day-to-day coordination of staff and services. Today’s mid-level managers face a variety of new supervisory challenges. Of the roughly 70,000 academic and public librarians, about a third find themselves “managing in the middle” reporting to top-level managers while supervising teams of peers or support staff. Our target audiences are current mid-level library managers, new librarians assuming these roles, and library management students looking for grounded insight into the administrative issues they’ll soon be facing. Authors: We invite essays from those who know the realities of the job best: those managing in the middle. We also seek perspectives from management experts, former mid-level managers, scholars, nascent supervisors, top-level managers, as well as librarians and paraprofessionals who have been “middle managed” A variety of formats are encouraged: “how to,” interviews with practitioners, case studies, illuminating anecdotes, brief tips, theory in practice pieces, rants and confessionals, annotated bibliographies, etc. For an archive of past messages from the ILI listserv, visit: http://lists.ala.org/wws/arc/ili-l.
Library and Information Science Trends and Research: Europe, co-edited by Professor Amanda Spink and Dr. Jannica Heinstr�m seeks to provide an understanding of the new directions in library and information science/management trends, education and research in Europe. Europe is a major economic region of the world with a growing population and economy. As the region has developed socially and economically in the last ten years, the field of library and information science and management has also grown in educational and research developments. In particular, there is considerable diversity throughout different European regions as information becomes part of people’s everyday social and life processes. The book seeks to present chapters by a range of scholars who discuss trends, education and research directions in library and information science/management in Europe. Chapters are sought that cover library and information science/management research, education and trend studies in policy, bibliometrics, user behaviour, educational issues and other aspects related to the field in Europe. Professor Amanda Spink is Chair in Information Science at Loughborough University in the UK. Dr. Jannica Heinstr�m is Associate Professor in the Department of Information Studies at �bo Akademi University, Finland. Potential contributors are invited to submit an abstract or a 1-2 page chapter proposal to the book Editors by October 1, 2010, detailing the background, motivations and structure of the proposed chapter. Authors will be notified in short order as to the status of their proposal and sent organizational guidelines. Full chapters should be at least 8,000-9,000 words in length and are due by February 1, 2011. Final revised manuscripts are due on April 1, 2011 for a publication date later in 2011. Â§ Be a citizen or permanent resident of the United States. Â§ Hold a recent graduate degree in library science from an ALA accredited school (current graduate students are encouraged to apply if their degrees will be completed prior to beginning the fellowship). Â§ Have a demonstrated interest in archives administration and management. Applicants must have taken at least two courses related to archival information and practice. Â§ Have a demonstrated interest in African American history. This interest can be demonstrated through academic coursework, volunteer or work experience, and/or through a personal statement in application essay. Â§ Have a GPA of 3.50 or higher. During the immersion training program, fellows will receive training in arrangement, description, preservation, reference, and outreach for collections of African American archival materials. Fellows will process collections and create EAD and EAC-CPF finding aids and will learn to appropriately utilize Brownâ€™s Subject Headings in addition to Library of Congress Subject Headings to provide access points to African American materials in print, video, and electronic resources. Fellows will attend lectures presented by African American scholars and representatives from other African American archival repositories. The purpose of these lectures is for fellows to gain a deeper understanding of African American history. Fellows will also take field trips to Chicago-area African American collections. During the on-site residency period, fellows will utilize knowledge and skills gained during their immersion training to process African American collections. Fellows will be required to organize a public program/community outreach event(lecture, exhibit, etc.) while in residency at their host institution. They will also be expected to give presentations on their education and career choice to other students at the high school and undergraduate levels. Fellows will also be required to keep a log of their experiences and progress throughout the fellowship. Fellows will also be strongly encouraged to submit papers for presentation at professional conferences such as ALA, SAA, MAC etc. Lodging arrangements during the training institute and during residency at host institution are the responsibility of the fellow. Applicants will be provided with information on local housing options upon acceptance to the program. Â§ Cover letter stating their interest in the internship and future career goals (please include an email address and a daytime telephone number). They should also rank their choicef of host institution placement from 1 through 8 (one being the first choice). They may also explain their choices, if they wish. Â§ the importance of this fellowship to their future career. Â§ Resume or CV indicating their academic background, work experience, and volunteer service. Â§ Undergraduate and graduate transcript. They should also include a printout of classes in which they are currently enrolled, if applicable. Â§ Three letters of recommendation. Proposals for presentations for the NMC Symposium for the Future, a special 3-day, live online event to be held October 19 – 21, 2010, are being solicited through Wednesday, September 15. See http://www.nmc.org/2010-future-symposium for full details. The Symposium grows from the NMC’s Emerging Technologies Initiative, which seeks to answer the question of how to keep abreast of emerging technologies that may be important to our collective work as educators. At the core of this initiative is a focus on emerging technologies and the ways they can be applied in the service of teaching, learning, research, and creative inquiry. A major goal is to stimulate systematic thinking and discussion of the real challenges that face our world and our society, and in particular, how emerging technologies might be applied to solve them. To set the stage for the intensive discussions this symposium will foster, Case Western Reserve University CIO Lev Gonick will describe a vision for a digital city that is being built, bit by bit, right now in Cleveland. His keynote address, “From Digital Campus to Connected Community,” will illustrate some of the ways emerging technology can be applied to the larger challenges faced by a thriving, diverse community like Cleveland. As its name suggests, the Symposium looks toward the future: what might the world look like in five years? Ten? Further out? Technologies and practices that are just beginning to show promise in an educational or social context may well be commonplace in that time frame. The applicability of technology — whether established or emerging — to the social, environmental, and educational challenges we face today is a central theme of the Symposium. Projects that test the applicability of new ideas, research into new solutions for global problems, and demonstrations of cutting-edge tools are all part of this exploration of the future. The NMC Symposium for the Future is intended to be an ongoing conversation, focused the applications of new technologies to global concerns and issues, and how they will shape the future of education. This event continues the ongoing series of specially focused online gatherings that explore new ideas and issues related to technology, learning, and society. The NMC Series of Virtual Symposia is itself an exploration of emerging forms of collaboration and tools. Please circulate this announcement to any and all areas on campus that may be interested in participating. Article submissions should focus on information literacy – the ability to identify, locate, evaluate, select, and use information – in a business context, including academic, public, and special libraries, other information organizations, and everyday life information seeking. Proposals should be research oriented, and could include empirical research, historical or philosophical analysis, or rigorous case-study research. Proposals of 500 words or less will go through a double-blind peer review process, and should be submitted to the editor, Lisa G. O’Connor, at loconnor@uky.edu, no later than October 18th, 2010. Amigos’ second Going Green @ Your Library online conference will be Wednesday, November 3, 2010. We are looking for librarians interested in sharing their ideas, experiences and excitement about green practices at their library. Our keynote speaker will be Monika Antonelli, co-editor of the forthcoming Greening Libraries (Library Juice Press, 2011) and Reference/Instruction Librarian at Minnesota State University Mankato. Other topics are welcome! Each session will be 45 minutes in length. If you’re interested in presenting, but have never done it online, don’t worry — we will teach you what you need to know! We welcome submissions from librarians in academic, public, school, and special libraries. To submit your presentation idea(s), go to http://greenlibs2.amigos.org/ and complete the submission form. Proposals will be accepted until September 30. If you have questions, please contact us at mailto:greenlibs@amigos.org. This issue of School Libraries Worldwide will explore the theme School Libraries as Place, School Libraries as Space. Yi-Fu Tuan wrote in Space and place: The perspective of experience (2001), “the former [place] provides the fixity necessary for security and the latter [space] the opportunity for movement and exploration.” This definition is our point of departure, not our fixed interpretation. We encourage papers that both affirm and challenge definitions of space and place. 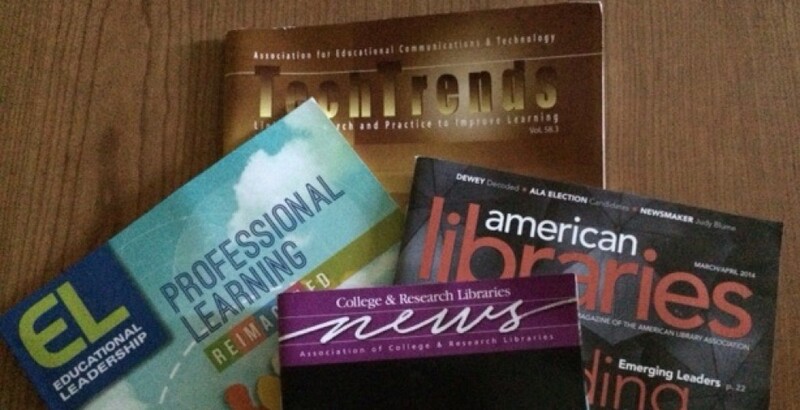 � The interplay between school libraries and digital libraries or virtual learning environments.